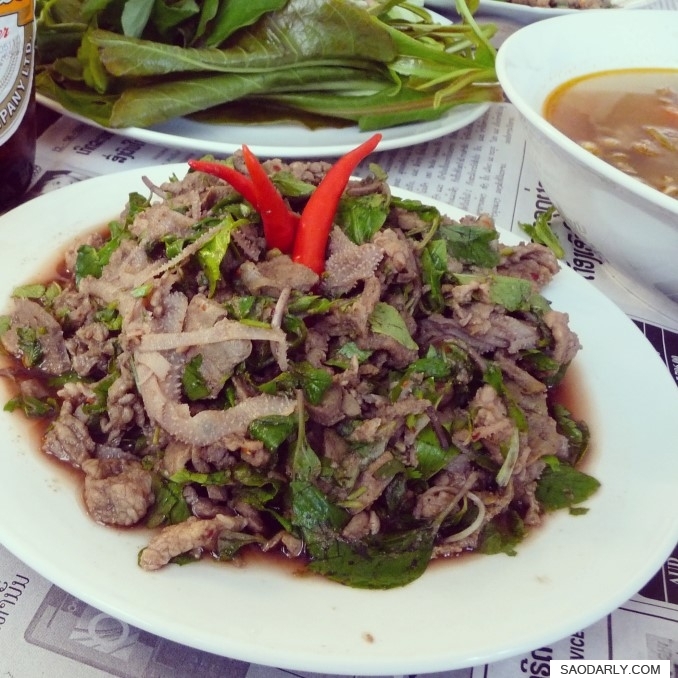 Larb Sien (Larb Beef, laap, larp, lahb) for lunch in Vientiane, Laos. 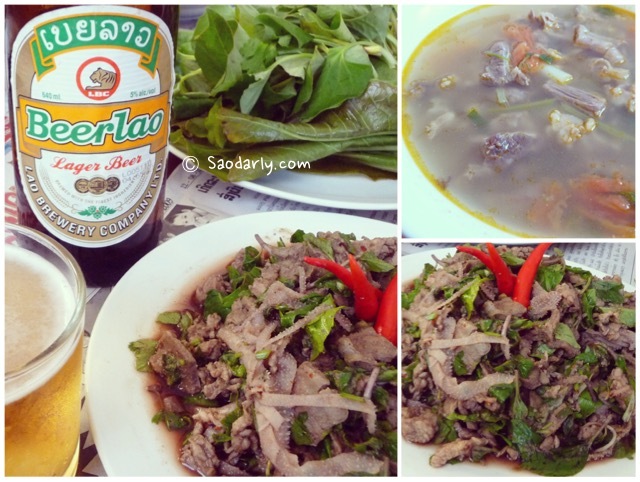 My aunt also made Kaeng Sien (Beef Soup) to go with the Larb Beef. 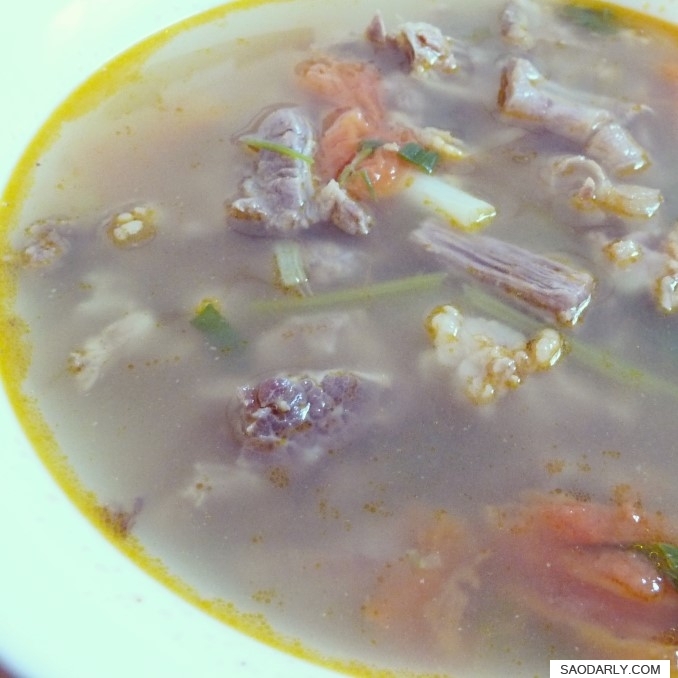 She likes to put tomatoes in the meat soup to give it a little bit of sour taste. 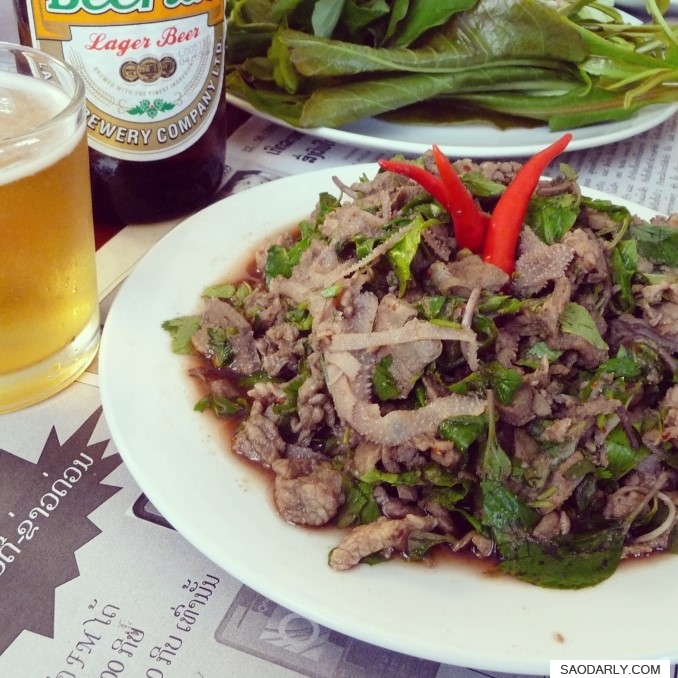 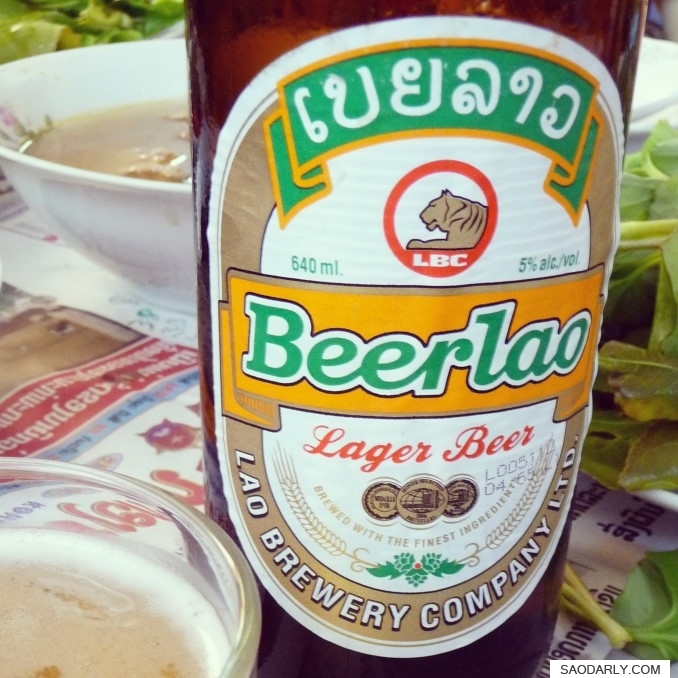 The minced beef salad (ລາບຊີ້ນ, ลาบเนื้อวัว) was served with side vegetables, plenty of freshly steamed sticky rice, and BeerLao, the best beer is Asia.